WARSAW, Poland â" The Polish government has called âunacceptableâ a remark made by a nominee for the next US ambassador to Poland. 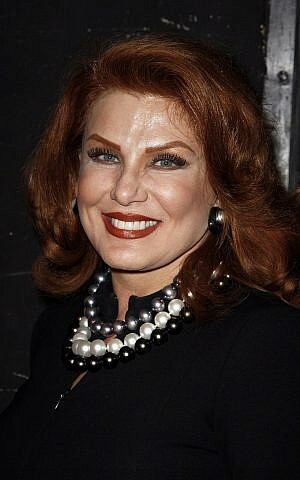 Georgette Mosbacher, a businesswoman nominated by US President Donald Trump, attributed the rise of anti-Semitism in Eastern Europe to a law passed in Poland earlier this year that criminalizes blaming Poland for the Holocaust crimes of Nazi Germany on its soil. The law angered Israel, which then triggered a wave of anti-Semitic rhetoric in Poland. Mosbacher made the comment Tuesday during a nomination hearing before the US Senate Foreign Relations Committee. 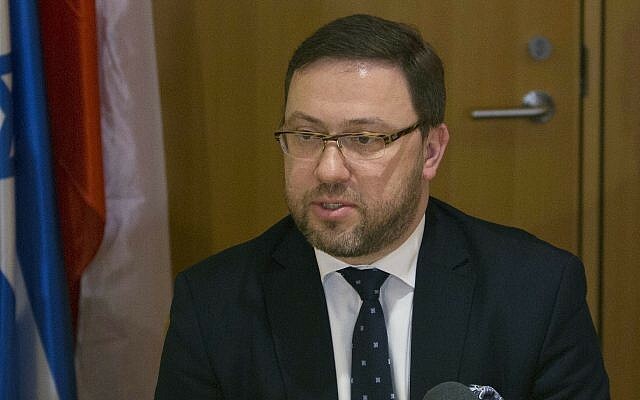 Deputy Foreign Minister Bartosz Cichocki said Poland does not accept the accusation that problems of anti-Semitism in Eastern Europe result from decisions taken in Poland. Cichocki said he conveyed that message to Wess Mitchell, the t op US diplomat to Europe, on Wednesday. Israeli officials railed against the Polish law, which outlaws blaming the Polish nation for being complicit in Nazi German crimes, as a distortion of history. The measure led to a major diplomatic rift when the Polish parliament first green lighted the legislation in January. As currently written, the law calls for prison terms of up to three years for attributing the crimes of Nazi Germany to the Polish state or nation. The bill would also set fines or a maximum three-year jail term for anyone who refers to Nazi German death camps as Polish. Though passed by the parliament in Warsaw and signed by Polish President Andrzej Duda, the law is still undergoing an investigation by a top court to check if it complies with the countryâs constitution. The verdict may take months to come. The US, along with Israel and other countries, opposes the law over fears it could violate free speech and whitewashes history. Critics of the law include Prime Minister Benjamin Netanyahu, who called it âbaseless.â Yad Vashem, the Holocaust museum in Jerusalem, warned it is detrimental to debate and research of the ge nocide. 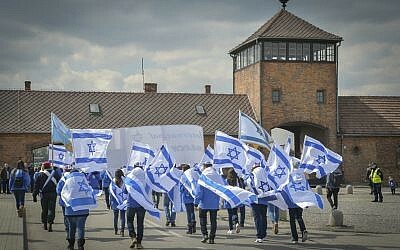 Israeli politicians, including opposition lawmaker Yair Lapid, said it whitewashes Polish complicity in the Holocaust â" allegations many Poles find offensive and the Polish government rejects.